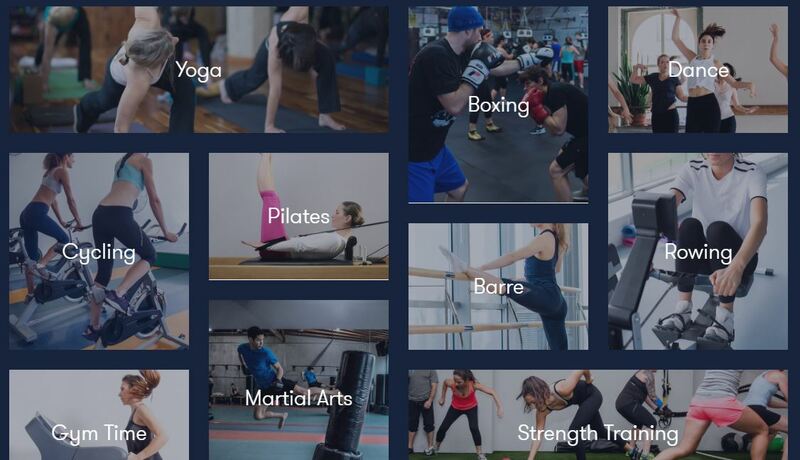 Classpass is a fitness class scheduling system that allows you to pick and choose which classes you add to your workout routine at a fixed monthly cost. Purchase one of their session based packages and start redeeming your workouts immediately. You can purchase 3, 5, or 10 packs of classes on a monthly basis (learn more here). Check their website for their current rates. Once you’ve purchased your select number of monthly sessions, you have a full month (from the date you signed up) to redeem those classes. Select from any of their available classes in your local area. Founded in 2013, Classpass began in New York City (founded by Indian-American entrepreneur Payal Kadakia) and is now available in over 30 cities across the United States including Los Angeles, San Francisco and Chicago as well as international cities London, Sydney, and Melbourne. The Classpass app makes browsing and scheduling your classes easy to do and easy to keep track of. They offer a variety of ways to search for local classes, as well as a diverse selection of fitness classes, ranging from Dance Choreography, to strength training and cardio fitness. Search by: studio name, class type, date and/or time, neighborhood, and also allow you to favorite your prefered classes/studios so that you can easily see their upcoming schedule the next time you register. Classpass offers a great referral discount when you refer a friend to join. When you refer a friend, you get a $40 credit towards your account. AND you friend will receive $40 off their first month’s payment. Join now and get $40 off your first month! Promo – $40 credit when your friend joins; Each friend will receive $40 off their first month too.